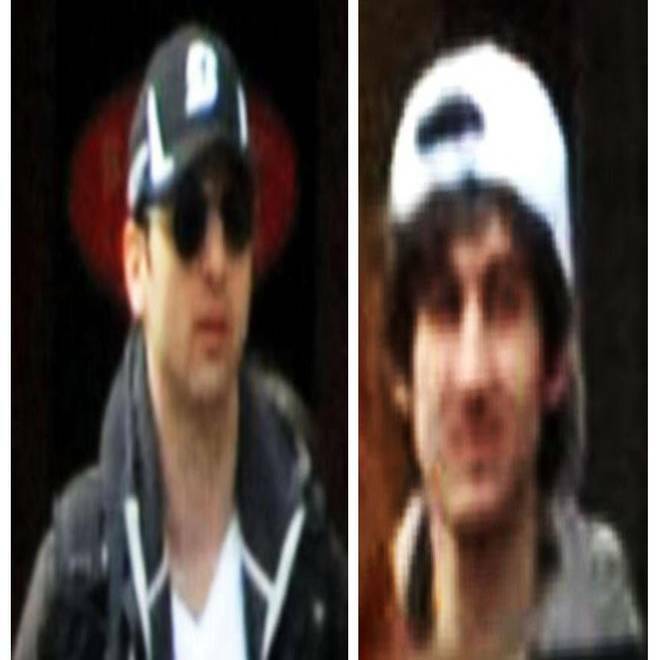 This combo of photos released by the FBI Friday April 19 shows what the FBI is calling suspects number 1, left, and suspect number 2, right, walking through the crowd in Boston on Monday, April 15, 2013, before the explosions at the Boston Marathon. As authorities closed in on the Boston Marathon bombing suspects -- one of whom was killed during a violent shootout in Boston's Watertown suburb early Friday -- Twitter and other social media outlets lit up with outtakes from police scanner reports, including a moment when eavesdropping tweeters heard the name of a missing Brown University student come over the airwaves in conjunction with the Monday attacks. "Police on scanner identify the names of #BostonMarathon suspects in gunfight, Suspect 1: Mike Mulugeta. Suspect 2: Sunil Tripathi," read the most retweeted of the tweets, from the hacker group Anonymous. The post was retweeted nearly 3200 times. But on Friday morning, it was certain: Tripathi was not involved with the bombings at all. Neither was the other named referenced. Authorities had identified the suspects as brothers with the last name Tsarnaev. Dzhokar, 19, was still wanted; his 26-year-old brother, Tamerlan, was dead after a night of violence that included the shooting to death of a Massachusetts Institute of Technology police officer, robbing a 7-Eleven, car-jacking a Mercedes SUV and injuring a Boston transit police officer. In the age of live streaming audio and fast tweets, amateur sleuths can spread police scanner chatter -- which is just that, chatter -- more quickly than ever. But the dissemination of information comes with a risk: endangering law enforcement or the public. "The last thing we want to become are reporters for the fugitive," Clint Van Zandt, former FBI profiler and NBC criminal analyst, said. "That's what I think people who tweet and post have to be careful of in the extreme and worst-case scenario. Are they giving information that would give aid and comfort to a killer? If you ask yourself that question and the answer is no, then go ahead and post it." Boston police mentioned Tripathi and the other less-known name on their scanner just before 1 a.m. Friday morning, about two hours after law enforcement officials first encountered the suspects they had been hunting since Monday's attack. 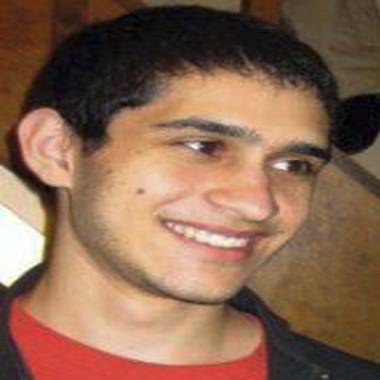 This undated photo released by Brown University shows Brown University student Sunil Tripathi, who was last seen in the Brown campus area on Saturday morning, March 16, 2013 in Providence, R.I. For a few hours, social media lit up with reports that Tripathi was mistakenly identified as one of the Boston Marathon suspects. Prior to the bombings, Tripathi's disappearance was reported to be a possible suicide. It's unclear why his name and Mulugeta's came up on the police scanner, but some on Twitter posted side-by-side photos of Tripathi and one of the Boston marathon suspects who had been seen on surveillance wearing a white hat. "Is there any doubt that Suspect #2 on the run is Sunil Tripathi?" wrote one, @HonestyInGov, comparing Tripathi's dark curly hair and thin frame to that of the suspect's. Misinformation is not the only danger. As of Friday morning, nearly 83,000 were simultaneously streaming a live audio of Boston's police scanner from a single website, broadcastify.com. Listening to unfiltered feeds of Boston's police, fire, and emergency personnel comes with a responsibility for those people, says Van Zandt, the former FBI profiler. Because the Boston suspects are believed to have been in the U.S. since 2002 or 2003, "they may well be subscribing to these blogs and tweets, and that gives them inside information," he said. He added, though, that even broadcasting a live raid on television or cable can give away information to suspects, who could be watching their own search play out live. "I've seen situations where the bad guys sit inside of a house or building, see which way the cops are coming, then start shooting from inside the door," he said. "Every time I talk on TV, I think the bad guy is listening. I think, what do I want him to hear? I keep trying to get a guy to surrender."